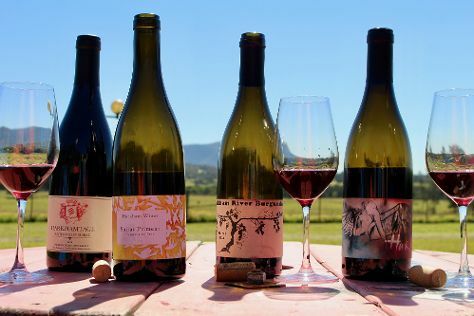 Get a sense of the local culture at Norah Head Lighthouse and Hungerford Hill Wines. Go for a jaunt from Pokolbin to Swansea to see Caves Beach about 1 hour away. It doesn't end there: do a tasting at Harkham Wines and see the world from above with a helicopter tour. To see more things to do, maps, where to stay, and more tourist information, go to the Pokolbin tour builder tool . Oklahoma City, USA to Pokolbin is an approximately 27-hour flight. Due to the time zone difference, you'll lose 16 hours traveling from Oklahoma City to Pokolbin. Traveling from Oklahoma City in September, things will get slightly colder in Pokolbin: highs are around 72°F and lows about 48°F. Wrap up your sightseeing on the 1st (Tue) early enough to travel to Blackheath. Get in touch with nature at The National Pass and Coachwood Glen Nature Trail. Explore the numerous day-trip ideas around Blackheath: The Three Sisters (in Katoomba) and Norman Lindsay Gallery & Museum (in Faulconbridge). On the 3rd (Thu), dedicate a day to the elevated beauty of Perry's Lookdown. 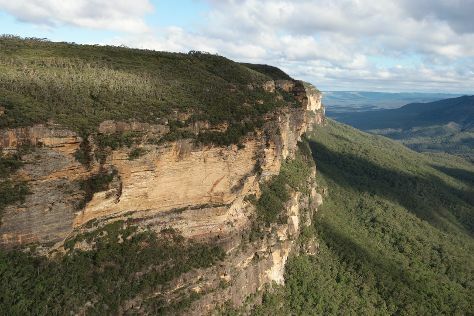 And it doesn't end there: admire the sheer force of Wentworth Falls, trek along Prince Henry Cliff Walk, admire the natural beauty at Everglades Historic House and Gardens, and take your sightseeing to a higher altitude at Pulpit Rock Lookout. To find where to stay, reviews, and more tourist information, go to the Blackheath online holiday planner . You can drive from Pokolbin to Blackheath in 3.5 hours. In October, plan for daily highs up to 79°F, and evening lows to 51°F. Cap off your sightseeing on the 4th (Fri) early enough to travel to Sydney. Get in touch with nature at Manly Beach and Sydney Harbour National Park. The Rocks and Sydney Opera House are good opportunities to explore the local culture. Go for a jaunt from Sydney to Manly to see Shelly Beach about 36 minutes away. 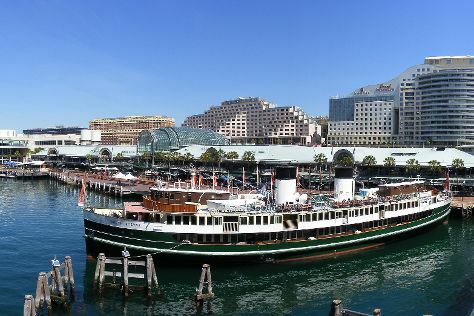 And it doesn't end there: take a stroll through Darling Harbour, take in nature's colorful creations at Royal Botanic Garden Sydney, tour the pleasant surroundings at The Opera House to the Botanic Gardens Walk, and take in the views from Sydney Harbour Bridge. Getting from Blackheath to Sydney by car takes about 2 hours. Traveling from Blackheath in October, expect somewhat warmer with lows of 59°F in Sydney. Wrap up your sightseeing on the 11th (Fri) early enough to travel back home.